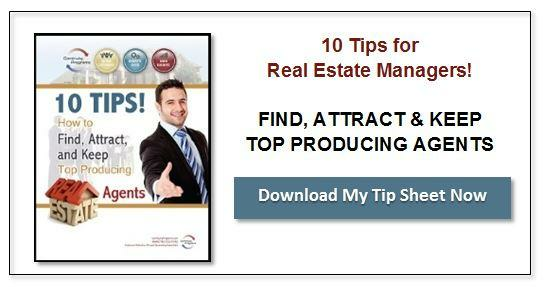 Every day, real estate agents must balance an enormous number of tasks and obligations to stay productive. Technology is supposed to help you stay organized, maximize your sales capability, and streamline your communications. A real estate CRM is an ideal tool for achieving these goals, but not every real estate CRM helps busy agents become more productive. If it isn’t easy to use or it doesn’t contain features that enhance their sales efforts, the wrong CRM can even get in the way. Or, worse, you might spend money on a CRM and your team doesn’t even use it. CRM software should do more for your team than store contact information and sit in the background. 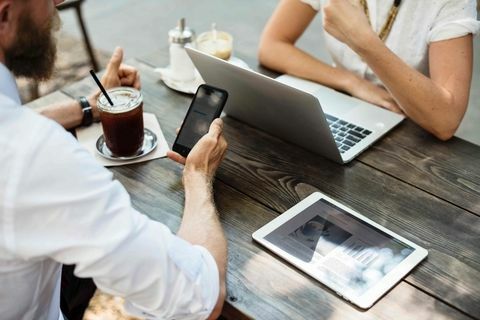 It should help you manage day-to-day activities, stay in touch with leads and referral opportunities, and deliver on key real estate marketing opportunities. So, what are some key features to look out for? Just listed and just sold real estate mailers are a powerful way to reach out to prospects and potential clients in a farming area. This practice is a tried and true tool for most agents, brokerages, and teams. But sending all those mailers by hand is time-consuming work. Menial tasks like ordering cards, addressing them, and bringing them to the post office take valuable time away from selling and prospecting. With the right CRM, all those tasks can be automated. You can design real estate mailers online or pick from a series of easy-to-use templates. Mailers can even contain personalized URLs that bring recipients to an online landing page, bridging the gap between direct mail marketing and online lead generation. Generating exclusive leads is faster and easier with the right CRM. Lead generation tools like online surveys, personalized URLs, and landing pages enable agents to engage with their clients and prospects where they spend a large part of their day: online. To get client testimonials and referrals, you want to make the process as easy as possible. A good real estate CRM should give you access to features like client satisfaction surveys and referral response cards. Most importantly, a CRM should help agents build and organize their networks, so they can keep in touch effortlessly with past clients, current clients, and other referral sources. Landing a client and making the sale is only the beginning. You want your team to be there when your clients make another big life decision, like selling their house and purchasing a new one. If someone they know is about to enter the real estate market, you want your team to be the first thing they think of. Following up with clients doesn’t have to be difficult and time-consuming, either. The right CRM should provide your team with an automated client follow-up system and personalized communications, including email and direct mail. Your CRM should include a turnkey follow-up campaign, ensuring consistent and effective database marketing. Your team is busy. Keeping in touch with their sphere of influence should be easy. A CRM won’t do your team much good if they don’t use it. According to IBM, “ease of use” was the most in-demand CRM feature among businesses in 2017, behind “schedule management” and “ability to get a clear snapshot.” In a similar study, Capterra found that ease of use was the second most important factor in most CRM purchasing decisions, behind functionality. Your team should view your CRM as an asset, not a burden. With the right real estate CRM, they can log in every day and take advantage of your CRM’s full functionality without any headaches. An easy-to-use CRM doesn’t have a steep learning curve. It can make your team’s workflow simpler, make their lives easier, and help your busy agents boost their productivity. Is Your Mortgage CRM Hurting Loan Officer Retention? Very useful tools you highlighted there! Good tip! I’ll try those with my own work!